The average cost for algebra tutoring is $50 per hour. Hiring an algebra tutor to help improve your grades, you will likely spend between $25 and $70 per hour. The price of tutoring can vary greatly by region (and even by zip code). View our local algebra tutors or get free estimates from tutors near you. 20+ Algebra Tutors found near you! How much does an algebra tutor cost? People get their math understanding in different ways—through visual, auditory, and interactive teaching. 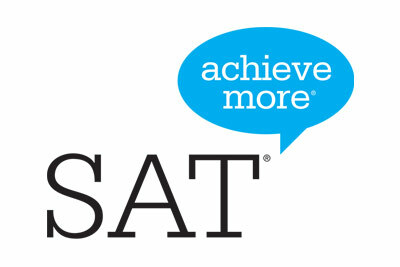 Many times students can fall through the cracks at school because they are in a group setting and don’t get the one-on-one interaction they need to grasp the concepts of algebra, but if they’re to pass the SAT or other college entrance exams, they have to understand it. Expect to pay anywhere from $30-$100/hour for an algebra tutor’s services. An assessment is usually done before any tutoring begins to assess the student’s level of understanding and determine the amount of tutoring needed. Algebra tutors will either teach from the book and/or go through homework with the student. By working through each lesson in line with the school’s schedule, the tutor can identify trouble areas and work on strengthening those. A good tutor can also go over segments with a student for a test and review the curriculum for it. Learning centers are more likely than individual tutors to give a discount for upfront payment for a block of algebra lessons. Keystone Learning Center in Yorba Linda, CA, charges $585/10 hour vs. its regular price of $65/hour, $1,100/20 hour (a $200 savings), $2,600/50 hour (a $650 savings). Explore Horizons in Garland, TX, offers packages that start at $195/month for two sessions/week. Some learning centers focus exclusively on one aspect of math study, such as Test Prep by Renee in Chatsworth, CA, who works hard to help students pass math tests through her private sessions, test prep intensives, and group practice sessions. Renee charges $95/1.5 hours private session and $75 for three hours of group practice. Four Square Learning Center (FSLC) in Lomita, CA, has tutors trained to teach students with ADHD, autism, English as a second language, or those in special ed. classes. The FSLC charges $35/per hour (in-person) or $25/per hour (online or over the phone). Some algebra tutors will tutor students online, at learning centers, or at a local library, while others come to your home or you go to theirs. Alternatively, you can be tutored over the phone or an online video service like Skype. A high school student’s algebra scores can give you good insight as to their understanding of algebra, while a college student’s major will indicate his or her level of interest in it. For instance, Corey of Just Math Tutoring in Lorton, VA, has a master's in education with a concentration in math and was a high school engineering teacher for a local STEM academy for four years. He now tutors full time and charges $50/hour. John Eye in Annandale, VA, has a bachelor's in physics and a minor in math, and he has been tutoring professionally for five years. He charges $60/hour. Ready to hire an Algebra Tutor? Get free custom quotes from qualified Algebra Tutors in your area. Looking for a Algebra Tutor near you?